Located on the West Coast, America’s “Golden State” is surrounded by the Pacific Ocean, the states of Oregon, Nevada, and Arizona, and Mexico in the South. A road trip is a great way to explore California’s diverse landscape. Parts of the famous Route 66, for example, will take you from California’s Mojave Desert, to the coastal town of Santa Monica. 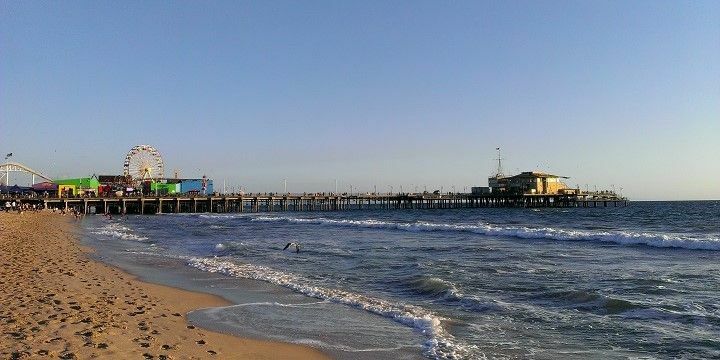 Santa Monica Beach is located close to Los Angeles. Alternatively, the Pacific Coast Highway runs from California’s most northern tip to San Diego, passing through unforgettable areas of natural beauty and must-see wine regions. California is the USA’s largest wine producer with world-famous vineyards, such as Sonoma Valley, Napa Valley, and Temecula Valley. California’s Yosemite National Park is home to some unique natural beauty, including stunning waterfalls, shimmering lakes, and impressive mammoth trees. Yosemite is part of the Sierra Nevada mountain range: with a peak of 4,000 meters, the park is popular among climbers and skiers alike. The highest ski resort, Mammoth mountain (around 3,400m), is open from October to May. 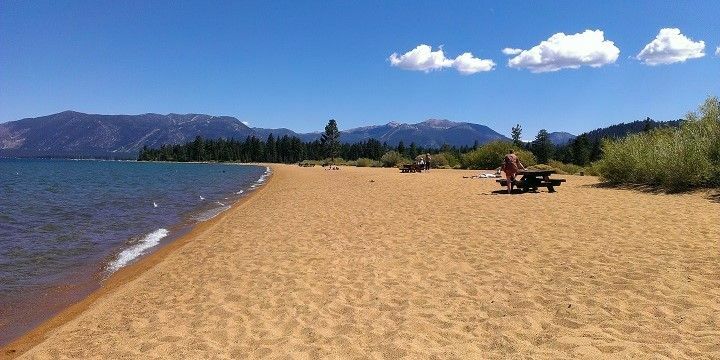 Lake Tahoe is a great destination in both summer and winter. From the ski resort’s town, Mammoth Lakes, it’s only 30 minutes to Mono Lake, which is three-times as salty as the sea. Its main attraction is the Mono Lake Tufa State Reserve and its unique towers made of lime. Travel two hours north and you’ll find Lake Tahoe. Whether you visit in summer or winter, the lake’s beautiful beaches and 3,000-meter-high peaks make it perfect for sunbathers and skiers alike. The major cities of San José and San Francisco are located east of Yosemite. During your time in San Francisco, be sure to check out famous sites like Pier 39, the Golden Gate Bridge, and Alcatraz prison. Just an hour south of San José, you’ll find the Monterey Bay Coastal Recreation Trail, a 30-kilometer-long railway. This runs along the Pacific Coast, from Castroville to Pacific Grove, and is famous for beautiful beaches and adorable otters. 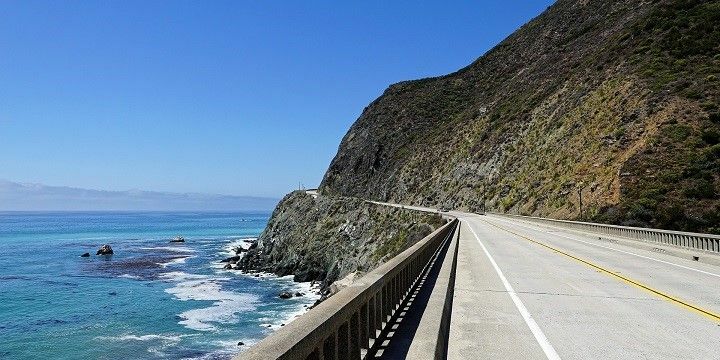 The Big Sur route is a world-famous road trip! Not far from Pacific Grove, you’ll find the starting point of the world-renowned Big Sur route, which stretches from Carmel along the Santa Lucia Mountains and Pfeiffer Big Sur State Park to San Simeon. The coniferous forests of Redwood State Park in northern California, with some of the world’s tallest trees, are another must-see. 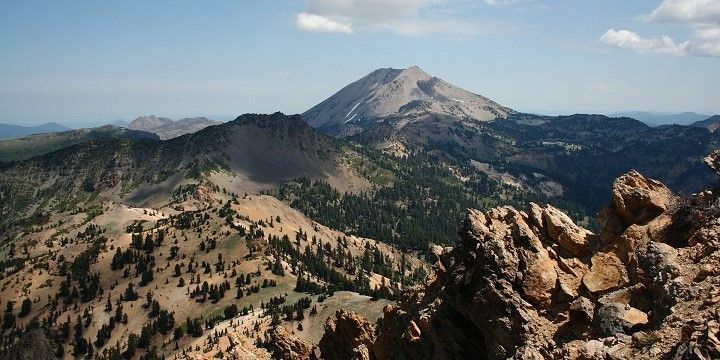 About four hours east, you’ll find Lassen Volcanic National Park, with 200 kilometers of hiking paths. Although Lassen Peak volcano hasn’t been active since 1915, there are still some hot springs, and bubbling pools, surrounded by solidified lava. Lassen Volcanic National Park offers 200 kilometers of hiking paths. Two nature reserves in California’s south are located almost next to each other but couldn’t be more different. While Sequoia National Park has a peak of nearly 4,500 meters, and is often covered in snow, Kings Canyon is much flatter, with a peak of just 100 meters, resulting in a hot and dry climate. Dante's View is a great viewing point over the Death Valley National Park. 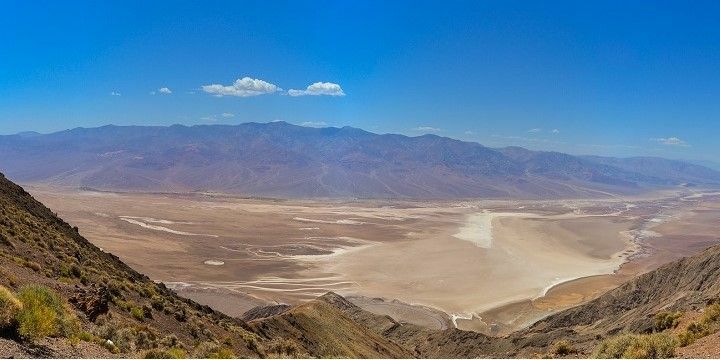 Meanwhile, the Death Valley National Park is characterized by stone, sand, and salt deserts. Further deserts can be found in Joshua Tree National Park, which is also famous for its eponymous trees, which can live up to 1,000 years! From here, it’s only about an hour to Big Bear Lake, a great spot for fishing, mountain biking, horse riding, and hiking in the San Bernardino National Forest. If you’re missing city life, head to San Diego, and stroll along the beautiful harbor, or the historical Gaslamp Quarter, which is also a great nightlife spot. Alternatively, visit Los Angeles to live like the stars in Hollywood, stroll down the Walk of Fame, and splash some cash on Rodeo Drive. 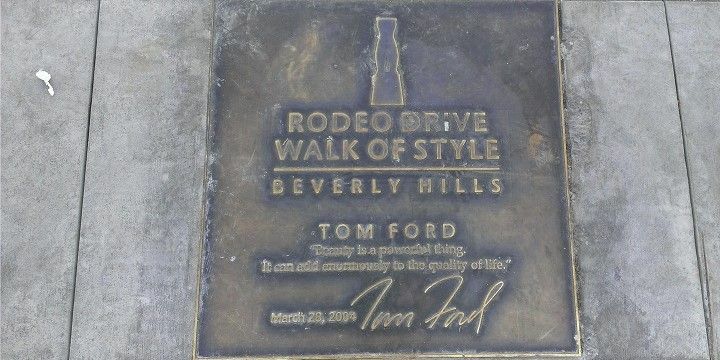 Rodeo Drive is one of Los Angeles' most expensive shopping streets. From Ventura, north of LA, take the ferry to Channel Islands National Park, which consists of five Californian islands. It’s home to a huge range of wildlife, including the endangered humpback whale. If NextStop24 helped you to choose your next travel destination, we'd be very grateful if you’d search for your accommodation and things to do in the United States of America through these links. They're affiliate links, which means that we will receive a small commission for every booking made through them. There are no extra costs for you; you'll simply be helping to keep NextStop24 running. Thanks! The American Parks' Tour it's an incredible experience. Everyone must do this travel once in a life. Lots of things to do with great weather and amazing food! We biked the Golden Gate Bridge, and so much more! Taking a visit to Muir Woods Nothing! It’s a magical city I totally fell for. The people there are crazy welcoming and open hearted. The cityscape is breathtaking no matter where you are. 10/10 would recommend. Sisco is magical. The Golden State, Californias nickname known all over the world, summarizes all the pleasures you can find along the West Coast: – golden sunsets at the beautiful beaches/steep cliffs all along the coastline – gorgeous cities: glamorous-golden Los Angeles/Hollywood or foggy San Francisco with the Golden Gate Bridge – magnificent nature to explore: Lake Tahoe, Yosemite/Sequoia National Park – Napa-Valley for wine-lovers with its golden grapes Highly recommended! I took a three-week road trip from Yosemite down to LA. It was beautiful! I'd definitely recommend towns like Santa Monica and Santa Barbara along the way.